Urinary tract infections are sometimes referred to as UTI, Cystitis and/ or bladder infection. Urinary tract infection is most common in women. However, men and children can develop them. The cause of a urinary tract infection is a strain of bacteria called E.Coli. There are some natural and easy ways anyone can use to treat a urinary tract infection. Here’s how. Increase your fluid intake. As soon as you are aware or feel the symptoms of a urinary tract infection, begin this regimen. Try to drink several gallons of water within the first 24 hours of the symptoms. The increase in fluids can help flush the bacteria out of your urinary tract. Drink water more than anything else. Other drinks are not as efficient as water in helping alleviate the bacteria that is causing the infection and discomfort. Help your body by making your urine more acidic. You can do this by taking cranberry tablets or drinking no sugar added Cranberry juice. 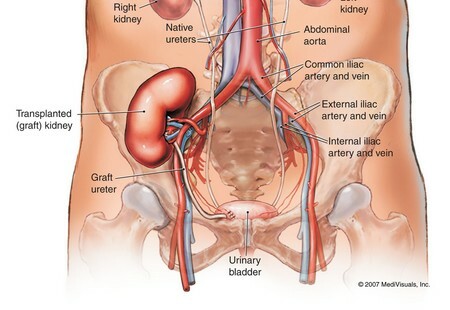 When the urine is acidic it is fatal to the growth and survival of the bacteria that cause bladder infections. In an effort to further acidify the urine, take a vitamin C with bioflavonoid. You should take at least 2,000mg per day. Make sure the dosage is spread evenly throughout the day. Use the restroom when the urge hits you. You will be using the bathroom rather frequently. Try to respond as quickly as possible in order to flush the bacteria from your system. Take your time when you urinate. Give yourself an extra amount of time to eliminate the waste from your body. You want to ensure that the bladder is voided completely. The accumulation of urine can intensify the symptoms of a UTI. Use water to help soothe the burning while you urinate. Use a plastic squeeze bottle and pour warm water on the area while urinating. Refrain from taking sit down baths with oils and bubble bath. This may aggravate the symptoms. Refrain from consuming alcohol, carbonated drinks and caffeine. These substances do not help with the healing process. Avoid them at all costs. If your doctor prescribes you an antibiotic to take please follow the dosage directions. Take all of your antibiotics, especially if you begin to feel better. You don’t want your symptoms to recur. If you take your antibiotic try taking them with acidophilus tablets to help the body to naturally restore and maintain good bacteria growth. The acidophilus helps to balance out bacteria in the body. These are all very beneficial in helping relieve a UTI.